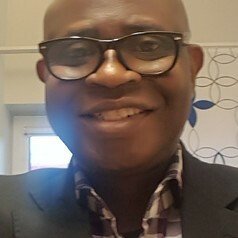 Michael currently lectures Organisation Theory, Human Resource Management and Labour Relations at both undergraduate and postgraduate levels in the Division of Management and Human Resource Management and also supervises at both doctoral and master degree levels. He is a registered Chartered Human Resource Professional (SABPP) and a professional member of the British Academy of Management, African Academy of Management and Southern African Institute for Management Scientists. Michael has consistently served as a panel member on the South African National Research Foundation (NRF) Advisory Panel on Human and Institutional Capacity Development Grants and Knowledge Development, and the Competitive Programme for Rated Researchers (CPRR) and Competitive Support for Unrated Researchers (CSUR) for Social Sciences and Humanities. He is a Section Editor of the South African Journal of Human Resource Management and also sits on the Editorial Board of Asian Journal of Business and Management Sciences and Business and Social Sciences Review respectively. Michael has reviewed articles for various academic journals and has published widely in peer-reviewed accredited journals both locally and internationally.